From the wilds of 1977 comes a “B”-movie horror fest called The Incredible Melting Man. Colonel Steve West (Alex Rebar) leads a mission to Saturn but becomes adversely affected by its rays. Of the three astronauts, only West survives, and he winds up hospitalized – and heavily bandaged – when he returns to Earth. When West awakens, he discovers that he’s become severely disfigured – indeed, it appears that his skin is melting. Upset, he escapes from the facility and seems to cause a threat to the population. That’s partly because he’s radioactive, but also because he needs to chow down on humans to survive. We follow West’s path of terror as well as attempts to capture him. I’ll say this for Incredible: it comes with a decent premise, though the movie’s original poster touts the title character as “the first new horror creature”, which I don’t understand. The first since when? Ever? 1955? I have no idea. Ignoring that odd hyperbole, the notion of a melting dude who feasts on humans comes with potential. Incredible also provides surprisingly good makeup effects given the movie’s age and presumably miniscule budget. Rick Baker was still an up-and-comer in 1977 – he wouldn’t earn the first of his six Oscars until 1981’s An American Werewolf in London - and he produced pretty good work with the Melting Man himself and other practical components. Baker and his colleagues help give the film a higher level of professionalism than one might expect from a quick, cheap horror flick. Thus ends the complimentary portion of the review, as literally no other aspect of Incredible satisfies. The acting? Consistently abysmal. Our first sign of this arises at the very start, as we see Rebar’s laughable attempts to express the wonder inspired by the view from his spacecraft, and things go downhill from there. Not a single participant seems even vaguely believable; we find one stiff, awkward performance after another. It doesn’t help that the actors find themselves saddled with clumsy dialogue and idiotic sequences that get extended past the point of sanity. When West escapes from the hospital, he chases a chubby nurse. For reasons unknown, the filmmakers chose to shoot the nurse’s run in slow-motion; maybe someone had a fetish for bouncing fat girls, and the segment lasts forever. About three seconds of the run would’ve conveyed the nurse’s attempts to flee, but we’re stuck with a much longer – and completely pointless – scene. At the end of this, she crashes through a glass door for no logical reason. The rest of the movie follows suit, as many portions of the film last bizarrely long. Take the sequence in which West kills a man. The guy’s decapitated head bounces for a while and eventually drifts downstream, where it crashes and busts open. We follow every little twist and turn of this, but why? To showcase the effects, I guess – the segment serves no story purpose whatsoever. Let’s not even get started on the movie’s perplexing, befuddling soup sequence, in which we take a break from the action so a main character can complain that he didn’t receive crackers. Honestly, I suspect Incredible boasts about 40 minutes of actual movie that got stretched to 86 minutes. If any of this seemed effective, I might not mind as much, but when even the theoretical good parts flop, the sluggishness becomes a bigger problem. Maybe someone out there finds this nonsense entertaining, but I think Incredible provides a dull, slow, cheesy dud; it’s not even enjoyable in a camp, “so bad that it’s good” way. 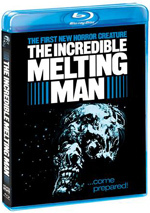 The Incredible Melting Man appears in an aspect ratio of approximately 1.78:1 on this Blu-Ray Disc. Though the image showed its age, it held up fairly well. Sharpness seemed decent. At times – usually during wide shots – the movie could seem a little soft, but overall clarity tended to be solid. I witnessed no signs of jaggies or moiré effects, and edge haloes remained absent. I didn’t suspect any digital noise reduction, and print flaws were minimal. Some archival footage looked messy – mostly found during the space shots – and a few additional spots materialized, but overall this was a clean presentation. In terms of colors, Incredible favored a fairly natural palette. The hues looked okay; while I couldn’t call them lively, they showed acceptable range and reproduction. Blacks were reasonably deep, while shadows showed positive clarity. Given the movie’s age and origins, I thought this became a “B” presentation. Nothing much emerged from the DTS-HD MA monaural soundtrack of Incredible. While it seemed acceptable for its age, I thought the quality of the audio tended to be more dated than otherwise might be the case, likely due to its low budget. In particular, speech sounded metallic and stiff. The lines remained intelligible but lacked warmth or natural qualities. The rest of the track followed suit. Music lacked distortion but also failed to display much range and remained somewhat flat. Effects sounded similarly clean but without much range or dimensionality. Though I never felt impressed by the track, I still thought it merited a “C”. We get a handful of extras here, and these open with an audio commentary from writer/director William Sachs. He provides a running, screen-specific look at the film’s origins and development, cast and performances, story/character areas, influences, sets and locations, makeup and other effects, conflicts with the producers, editing, and some additional areas. For the movie’s first half, Sachs gives us a good look at the project. His complaints about the producers and how they tampered with his original vision prove to be especially interesting; after more than 35 years, he remains bothered by the alterations and expresses those thoughts. After that, though, the track really peters out across the film’s second half. Sachs still tosses in an occasional nugget, but he goes silent much of the time and doesn’t tell us much. Half of a good commentary beats none, but the way the piece fades as it goes creates a disappointment. 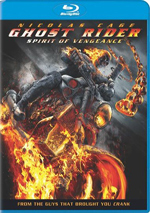 Two featurettes follow. An Interview with makeup effects artist Greg Cannom runs two minutes, 56 seconds as Cannom discusses how he came onto the film and his work on it. Cannom includes some decent thoughts but the interview ends so quickly that we fail to learn much. Next comes the 19-minute, 37-second Interview with writer/director William Sachs and makeup effects artist Rick Baker. Recorded separately, they cover the movie’s origins and development, how Baker wound up on the project and his effects work, Sachs’ conflicts with the producers and changes made from the original script, editing, cast and crew, and some general thoughts about the flick. I don’t know why the disc’s producers chose to combine the Sachs and Baker interviews; they’re not connected, and it would’ve made more sense to pair Baker and Cannom. That’d have been more efficient because much of what Sachs says also appears during his commentary; we’re stuck with a lot of redundant info. Sachs does toss out a few unique notes, and Baker adds good thoughts. He’s blunt about the film and more than happy to rag on its less endearing qualities; as much as Sachs tries to convince us that he intended to make a comedy, Baker believes the laughs come from its crumminess. Baker delivers interesting elements, which makes it too bad we must sit through repeated details from Sachs to get to them. In addition to two trailers and a radio spot, we find a Photo Gallery. 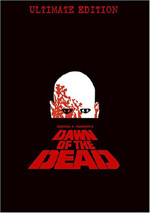 It shows a running four-minute, 22-second compilation of shots from the film, with an emphasis on the title creature. It also includes a few behind the scenes and publicity images. Nothing amazing shows up here, but this becomes a good collection. Although it comes with a decent premise and some good effects, The Incredible Melting Man delivers no other obvious positives. Laden with bad acting, a terrible script and tedious pacing, there’s no terror to be found here. The Blu-ray offers pretty good picture along with mediocre audio and an erratic but generally positive set of supplements. I guess Incredible Melting Man boasts a cult following, but I can’t figure out why, as it’s an awful movie.